ATTENTION CONTROL FREAKS. You’ve cut. You’ve colored. You’ve curled. You’ve straightened. You’ve coaxed. And sometimes…you’ve even cried. There’s only one thing that has more control over your hair than you and that’s the follicle. Every defining feature of your hair originates from these micro-sized factories embedded in your skin. The human body is actually covered with 5,000,000 hair follicles, excluding the palms of our hands and the soles of our feet. 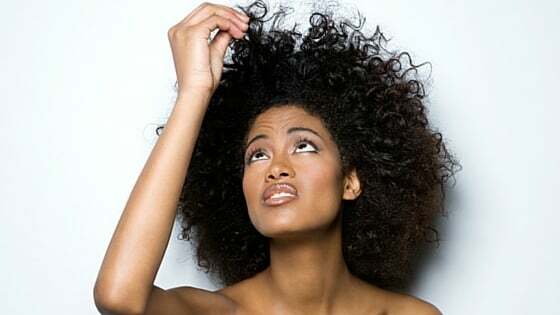 An average head will have 1,000,000 hair follicles on it with 100,000 of those covering the scalp area. That’s 100,000 reasons to try to understand why your hair is the way it is. From curl pattern to color, you’ll find out all you ever wanted to know about the production of your hair and more. The hair follicle is first developed in the womb at about the 3 month mark. Epithelial cells grow downwards to form a plug in the skin and join up with the dermal papilla at the base of the follicle. The dermal papilla is responsible for hair generation, size and color, since it directs the matrix cells used to build or form the hair strand. The larger the dermal papilla, the larger the hair fibre it will produce. The matrix cells go through a process of cell division and differentiation and push upwards forming three enclosed cylinders; the outer root sheath, inner root sheath and what will later become that hair fibre you know and love. The outer root sheath separates the hair fibre from the rest of the skin. It’s the inner root sheath that forms the mold that matrix cells feed into. This is actually where and how your curl is defined. This molded path determines the size of strand and amount of curve the completed hair will exhibit. Because every follicle is responsible for its own output, you can begin to see how variations in your curl pattern can occur on different areas of your scalp. As the inner root sheath reaches the sebaceous gland, it begins to break down, leaving the hair strand free to exit the skin and ready to be styled. The resulting hair strand is a keratinized version of the hair follicle cells; a by-product of the hair follicle processes, which become factory output. Due to the fact that the exposed hair strand is dead, as far as biology goes our efficiency ratings must be through the roof. Reduce, reuse, recycle has nothing on human cell use. For those of you stressing over the length of your hair, hair does not grow continually. Also of importance, growth stages can be vastly different from one person to the next. Understanding this may help to alleviate any anxiety you may have in this area. Hair growth is dependent on the individual’s age, hormones, and nutritional status, as well as physiologic and pathologic factors. The length of time spent in this phase determines the length your hair can achieve. The human scalp hair follicles can stay in this phase from 2 to 8 years, thus producing long hairs. While in this growth phase, the matrix cells are continually dividing. As new cells are formed they push the older ones up the inner root sheath and eventually out beyond the scalp. Normal hair growth during this phase is claimed to be 1cm every 28 days, which doesn’t sound like much. Again, your hormones will play a part in this production rate. As a result, you may experience slower or faster growth rates, depending on your specific biology. If you fall outside of the norm in failure to produce fast enough, it may be worth a trip to the doctor for a diagnosis of any underlying conditions or causes. The good news is growth is not a synchronized event, so each hair passes through the three phases independently. At any given time, it has been estimated that approximately 86 percent of scalp hairs are in anagen, 13 percent in telogen, and 1 percent in catagen. Excessive hair loss may indicate external factors, such as stress, nutrient deficiency or chronological age. This transitional phase is sort of like the clean up phase after a large remodel on a home. All the construction is done for now, but in order to say the house is complete and ready to stand on its own, a clean up process has to happen. All of the cellular activity that was in overdrive is now slowing down and easing back from its place of prominence during the growth phase. The old hair shaft factory is dismantled so that a new shaft can be produced at the beginning of the next growth phase. This process is called apoptosis. Apoptosis is a highly controlled form of cell death carried out by implosion, and is a critical factor of the hair cycling process. After cell fragmentation, the cells are essentially eaten, or reabsorbed. As soon as follicle growth stops, degeneration starts. That is the typical or normal cycle of events. However, there are indications that the catagen phase can start prematurely and/or abort the growth phase. Some of these causes are chronic or severe stress, external trauma, hormone issues or chemical influences, such as prescription medications. It is said that during the catagen phase, the dermal papilla finds its place of rest next to the epithelial bulge just south of the sebaceous gland. Scientists muse that if the dermal papilla does not manage to reposition itself in this way, out of the fats and into the dermis, that premature death of the follicle is possible. The telogen, or resting stage, is when hair follicles stop making hair. At this point in the process, they dump their last cells on to the end of the existing hair fiber, forming a lump. This lump of cells acts as an anchor to hold the hair fiber in the tube of the hair follicle. This non-living hair is attached to the skin with a “club-like” root, but will eventually be pushed out or pulled out during combing or washing and replaced by a new growing hair. The telogen stage typically lasts for two to three months before the scalp follicles enter the anagen phase and the cycle is repeated all over again. Five to 15 percent of scalp follicles are in the telogen stage at any given time. On average, people lose anywhere from 50 to 150 scalp hairs a day, so shedding this amount of hair may be considered normal. Shedding in excess of this may be due to an increase in the follicles of scalp hair in the telogen stage and should be addressed to contain hair loss. It is not yet clear whether shedding is an active, regulated process or a passive event. If it’s passive, that would mean shedding occurs as a result of the new hair growth in the anagen phase dislodging the old hair from the follicle as it presses upward. Hair growth and loss in humans is random and not seasonal or cyclical. At any given time, a random number of hairs will be in various stages of growth and shedding. In older people, the hair cycle shortens, the follicles gradually give up producing long, strong hair, and the hairs eventually become thinner and shorter. The overall result may be either a general thinning of the hair density, or even a degree of baldness. When the growth phase stops prematurely, it results in unfavorable conditions like alopecia and telogen effluvium. Armed with this information, scientists are seeking cures by trying to control the onset of the next phase (regression) in their attempts to combat hair loss and disease. Preventing early onset of the regression phase, allows the growth phase to properly fulfill its commitment to new growth. trichotillomania / plucking. Compulsive hair pulling and plucking is known as trichotillomania. It is quite common affecting up to 2% of the population. traction alopecia. Traction alopecia is similar to trichotillomania but occurs after using inappropriate hair styling techniques. alopecia due to physical injury. Any physical damage to the skin such as burns or frostbite may cause localized alopecia. loose anagen hair syndrome. As the name suggests, people who have loose hair syndrome have hair that is easily pulled out by brushing or even by rubbing on a pillow at night. congenital triangular alopecia. This form of hair loss is the result of incomplete skin development and differentiation at the temples. aplasia cutis congenita. This form of hair loss is the result of incomplete embryonic skin development. alopecia due to neoplasms / cancer. Cancer in the skin can directly destroy hair follicles. Cancers elsewhere in the body may also indirectly affect hair fiber growth. alopecia due to hemochromatosis. Most people know that iron deficiency causes hair loss, but not many people know that too much iron in the body is toxic and can also cause alopecia. permanent surgery induced alopecia. Surgery can promote alopecia at the site of incision or, in some plastic surgery procedures, extensive alopecia can develop. alopecia due to celiac disease. Failure to follow a gluten free diet can lead to diffuse hair loss in celiac disease affected individuals. scalp ringworm . Scalp ringworm, or tinea capitis, is a common infection of the scalp skin that cause cause hair loss. kerion. A kerion is not an infectious agent in itself rather a kerion is the skin lesion that develops when an infectious agent that normally causes scalp ringworm (tinea capitis) becomes more aggressive. lice. Hair lice are a common complication, particularly in children. demodex folliculorum. A very common infectious parasite suggested by some to be involved in hair loss. seborrheic dermatitis. Seborrheic dermatitis is a chronic inflammatory disease of the skin of unknown cause or origin, characterized by moderate erythematic, dry, moist or greasy scaling and yellow-crusted patches on various areas of the body. bacterial folliculitis. One of the most common causes of infectious folliculitis is bacteria. This page reviews the nature of bacterial folliculitis and treatments. candida viral or parasitic folliculitis. Though folliculitis is most commonly caused by bacteria and fungi, candida yeasts, viruses, and parasites can sometimes cause folliculitis. furuncles and carbuncles. Normally infectious folliculitis is a relatively mild and limited scalp inflammation. However, sometimes the infection can be more severe and widespread. When this occurs, furuncles or carbuncles may develop. syphilis. Syphilis typically has three stages; primary, secondary, and late (tertiary), with different symptoms at each stage of the infection. In the secondary and tertiary stages of syphilis, hair loss is common and obvious. black piedra and white piedra. Piedra, meaning stone in Spanish, is an asymptomatic fungal infection of the hair shaft, resulting in the formation of nodules of different hardness on the infected hair. There are two basic types; black piedra and white piedra. Wondering how your hair color plays into all of this? Simply put, you could say it piggybacks on the keratinized cells but it actually has its own process before that can happen. Melanin is contained in granules inside melanocytes, but in this state it is unable to provide any color; it must be transferred to the keratinocytes. The melanocytes are mostly located in the bulb and cortical layer of the hair, sandwiched between the numerous keratinocytes. The hair bulb at the base of the hair follicle is populated with melanocytes alongside the keratinocytes. These melanocytes are responsible for planting pigment, or melanin granules, into the cells that form the cortex of the hair shaft. Pigment comes from two types of melanin, eumelanin and pheomelanin. Whatever your specific hair color, its determined by the ratio of each granule dispersed into the cortical cells. Until the melanin is absorbed by the keratinocytes, it is effectively dormant and incapable of reflecting color. As far as the growth cycle goes, pigment production also turns on and off outside of the anagen phase. Pigment cells are meant to turn back on when the next growth phase starts for new hair. If the pigment fails to restart production, that’s when hair starts to turn grey. At the close of each growth cycle, some pigment-producing melanocytes become damaged and die off. There is a melanocyte stem cell reservoir at the top of the hair follicle, which can replenish the bulb and keep pigment production going. When that reservoir of stem cells is exhausted, however, pigment production stops and hair turns grey. Are grey hairs on your horizon? Genetics are important factors in determining when we might turn grey. Currently, there are no reports linking it to stress, diet or lifestyle. A tiny fraction of the population can attribute greying to autoimmune disease, such as vitiligo and alopecia areata. Both of these can damage pigment cells and bring about greying prematurely. You have approximately 100,000 follicles to nurture, influence and protect so that your hair keeps coming back again and again. Whatever your hair challenges, if you think they stem from an issue with your hair follicle, leave us a note in the comments. Seeking information on a specific topic not covered here? Let us know and we’ll get to work gathering the details.